Best Gold Bullion ETF – Which One To Choose? Gold bullion ETF represents an exchange traded fund that focuses on tracking the spot price of gold. If the price of gold goes up, the stock prices of your best gold bullion ETF will also go up. With that said, investing in the best gold bullion ETF of your choice makes a great alternative to investing in the physical gold bullion. It’s not a surprise that buying physical bullion comes with a headache of figuring out how to store your gold. If you decide to store your physical gold bullion at a bank’s vault or a safe deposit box, you will face hefty annual storage fees. You best gold bullion ETF, on the other hand, comes with a mere average of 0.5% of annual costs to cover fund management fees. 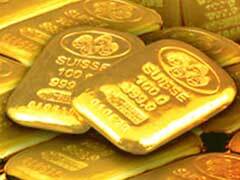 In our opinion, Claymore gold bullion ETF is a very good investment choice to consider. Claymore gold ETF is a Canadian based fund with a ticker symbol of CGL. Low management fund fee of 0.5% and stable gold investment performance make CGL one of the best gold bullion ETF’s to choose. Another good selection on our Gold ETF list is ETFS Physical Swiss Gold Shares (SGOL). This particular best gold bullion ETF includes physical gold bullion with Swiss origin that is considered one of the most liquid forms of gold bullion. iShares Comex Gold Trust (IAU) owns physical gold backed up securities that are stored in three trust’s main vaults located in Toronto, New York and London. This best gold bullion ETF also comes with one of the lowest management fees of 0.25%. Street TRACKS SPDR Gold Trust (GLD) is perhaps one of the most popular and liquid investments available on the market today. GLD is also one of the fastest growing gold funds in the US with its shares being traded on many major stock exchanges across the globe.